Apologies to be emailed or phoned to our attendance officer PP Neil Popple. 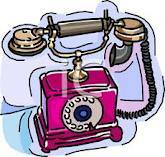 Up to Tuesday evening to Neil Popple by email: redders50@hotmail.com on Tuesday before 12 noon. 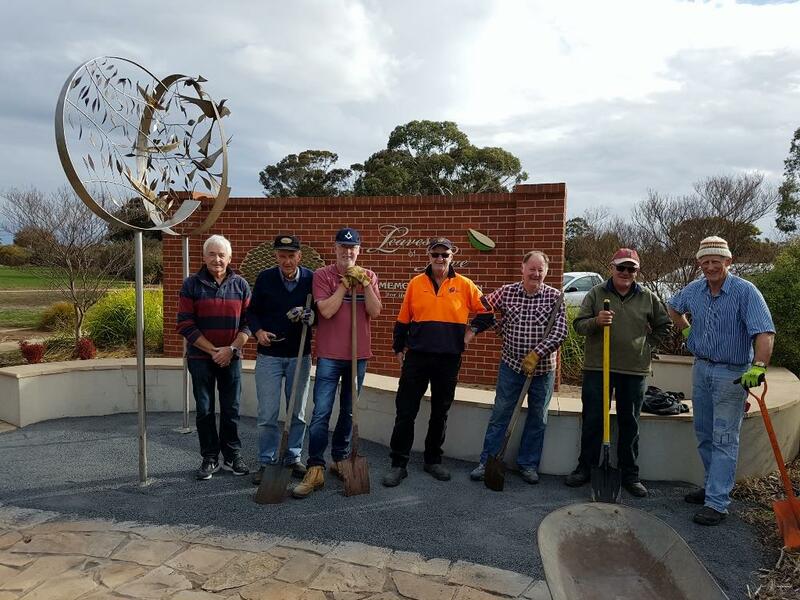 Recently the Rotary Club of Horsham East in partnership with the Rotary Club of Horsham, Wimmera Lodge 70 (Horsham), and the Lions Club of Horsham have commenced work to rejuvenate Horsham Leaves of Love Memorial Gardens at the Horsham Cemetery. 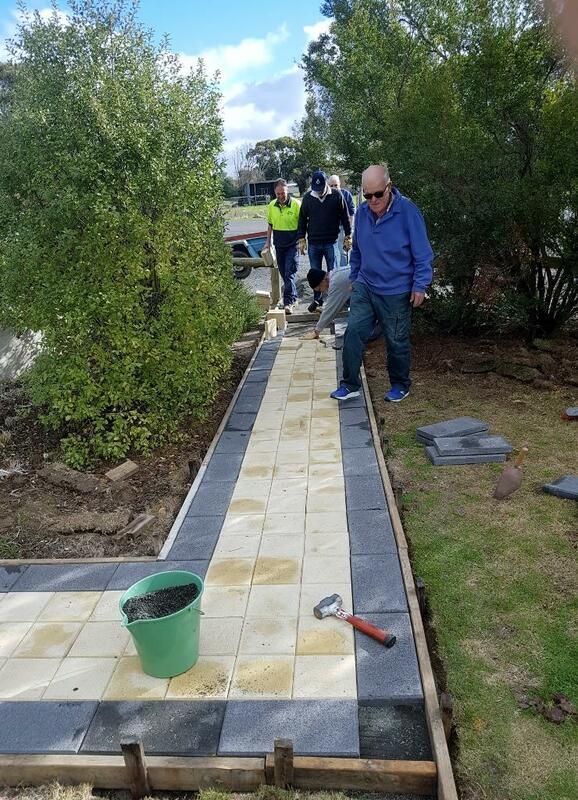 The gardens were a joint project in 2008 involving the Rotary Club of Horsham East, Rotary Club of Horsham, Apex Club 15, Apex Club of Jardwa, Lions Club of Horsham, Lions Club of the City of Horsham, Masonic Lodge of Wimmera (number 70) Horsham, Quota International of the Wimmera and SIDS and Kids. 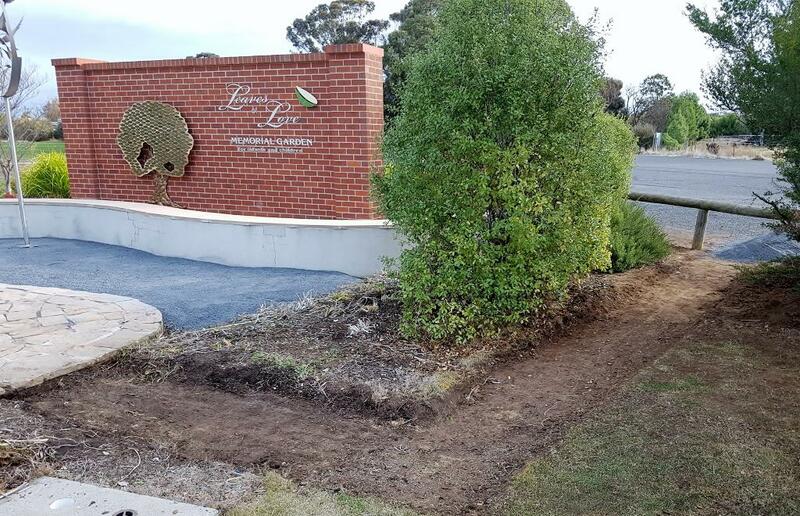 The rejuvenation project will consist of installing a new watering system, artificial lawn area, footpath, new plants and general maintenance of the area. The work will continue over the next several weeks. On 28th of June our club and kindred organisations gathered at the Horsham Golf Club to celebrate the Rotary Club of Horsham East Inc. 2017-2018 years. 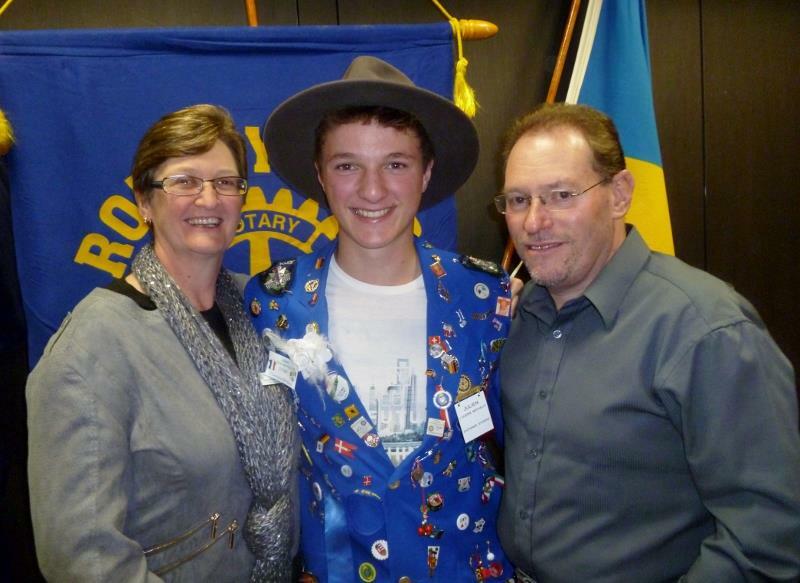 During the year the cub continued to be involved in local, district and international Rotary projects. 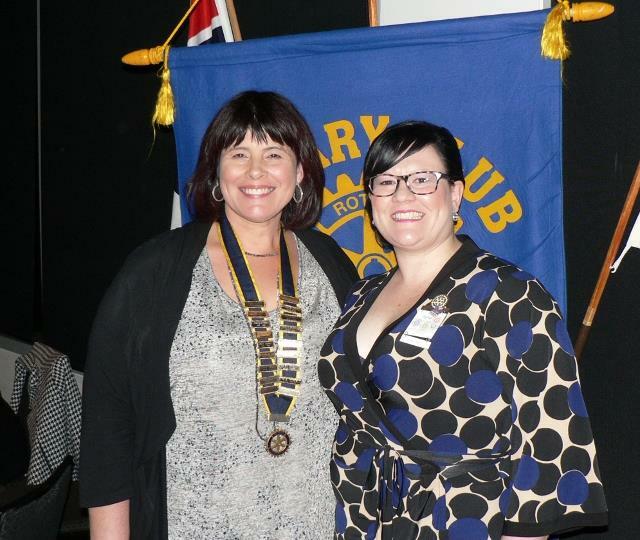 We became involved in the sayNo2familyviolence campaign which was commenced by the Rotary Club of Maryborough. Outgoing President Steve Holmes said, I could list the differences that Rotary is making this year and the years dating back to the beginning in 1905, which would take all the pages available in this annual report. Rotary makes a difference locally in our community, within our district and both nationally and internationally with a combined effort of the 1.2 million Rotarians wide world. To me the real difference that Rotary is making is the in the people who join Rotary, in taking them out of their comfort zone, from their working life and home life, making them better people to service their community. Rotary gives you skills in public speaking, conducting an effective meeting and managing projects along with the people involved. It has been said that organizing volunteers is akin to herding cats but preserving with this task can help appreciate other people’s abilities and gain the most from their volunteer hours. The difference Rotary makes in your life will depend how much you commit to Rotary. President Geoff Eagle was inducted as the club’s president for 2018-2019. On Wednesday the 29th June 2016 the Rotary Club of Horsham Inc celebrated its Changeover Dinner at the Horsham Golf Club. 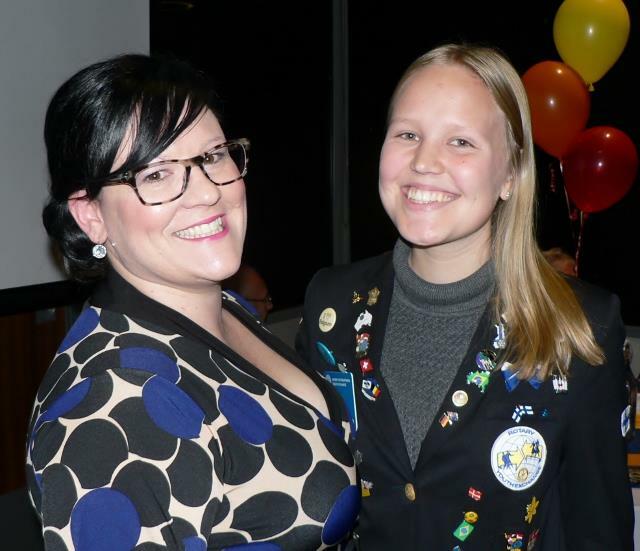 The night was a calibration of the past year under the leadership of President Penny Flynn and the induction of President Elect Debbie Delahunty. A great night was had be all that attended. 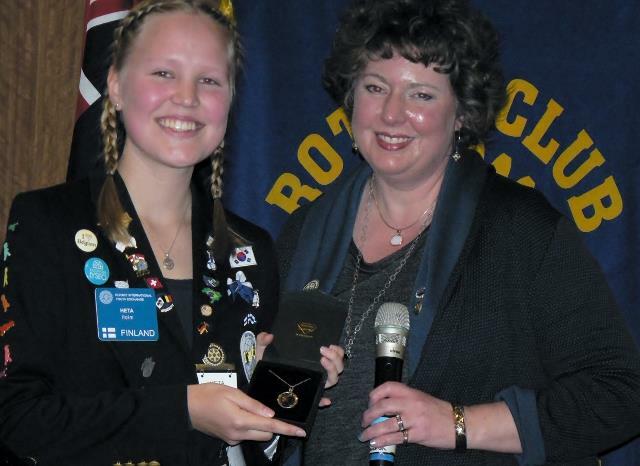 The Rotary Club of Horsham East Inc 2015 - 2016 Exchange Student Heta has returned home to Finland after being apart of the Horsham East Rotary family for the past 12 months. The club has enjoyed having Heta as part of our family and wishes well on the return home. 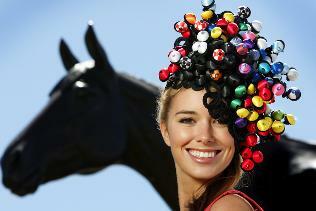 The Horsham Cup and the Melbourne Cup fever has hit us!!! On Wednesday 4th November we want you to dress up for our own cup event. So you can wear something different than usual and wear a hat !!!!! Please bring $5.00 so that you can enjoy the Cup Day novelty events. President Penny members and their families have welcomed our new exchange student Heta from Finland. Heta will be in Horsham for the next 12 months. 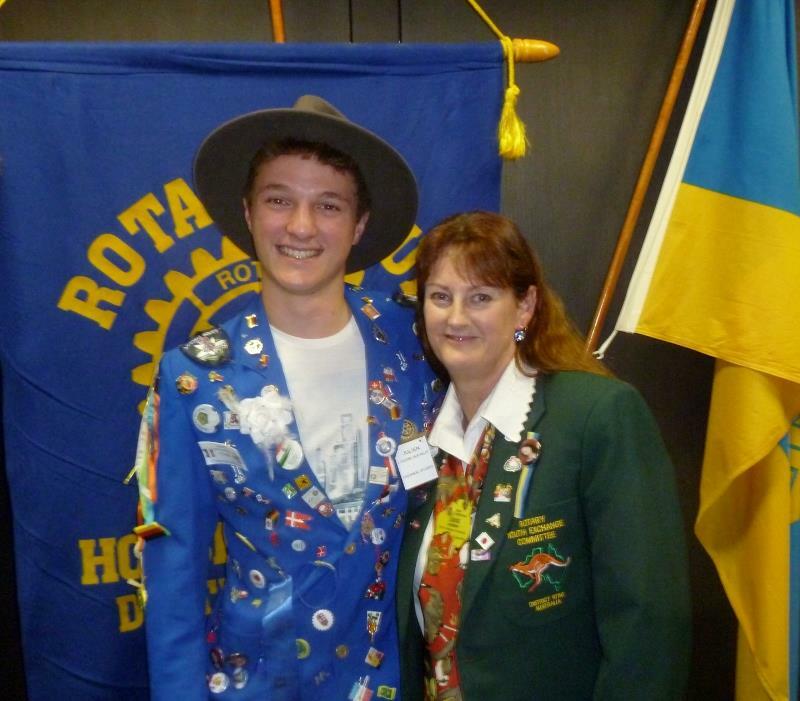 Me mbers of the Rotary Club of Horsham East Inc. welcomed our 2014 - 2015 inbound exchange student from Denmark. 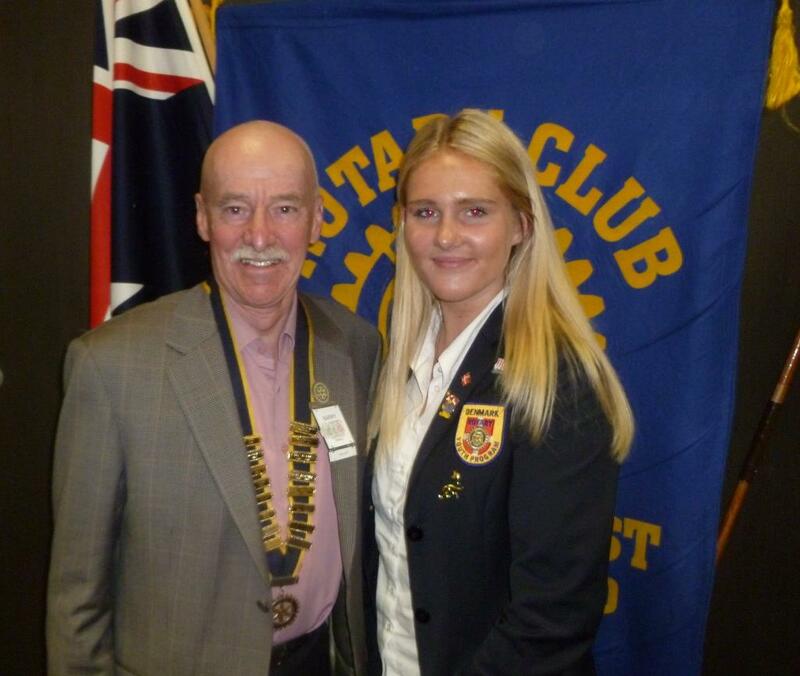 Sofie is picture here with President Barry Sherwell at her first club meeting. 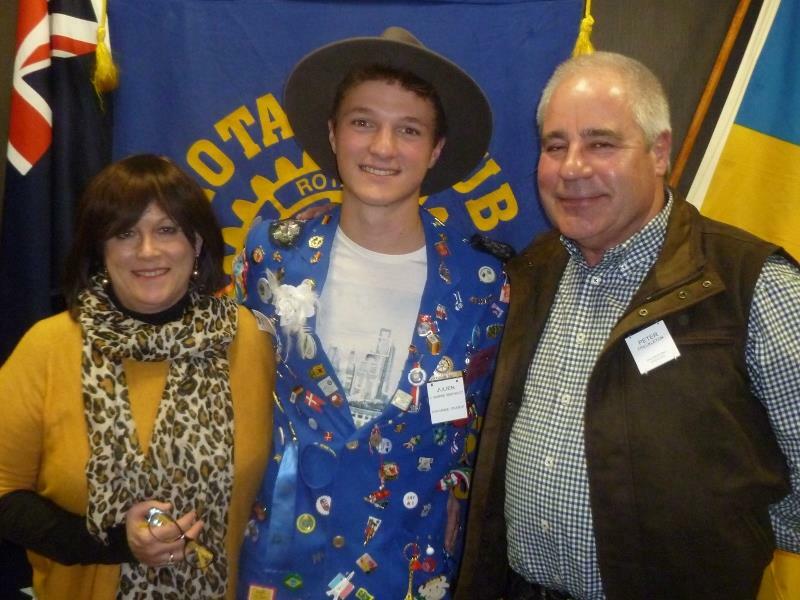 Our exchange student Julian spent his last night at the Rotary Club of Horsham Inc. meeting prior to completing his exchange. 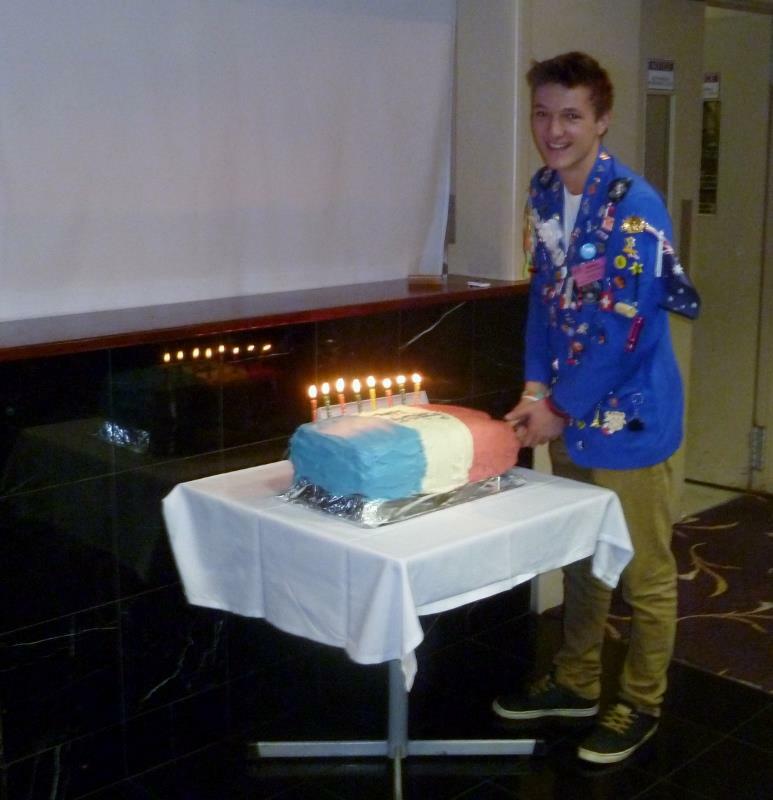 Julian gave the club members and guests a presentation of his year in Australia. 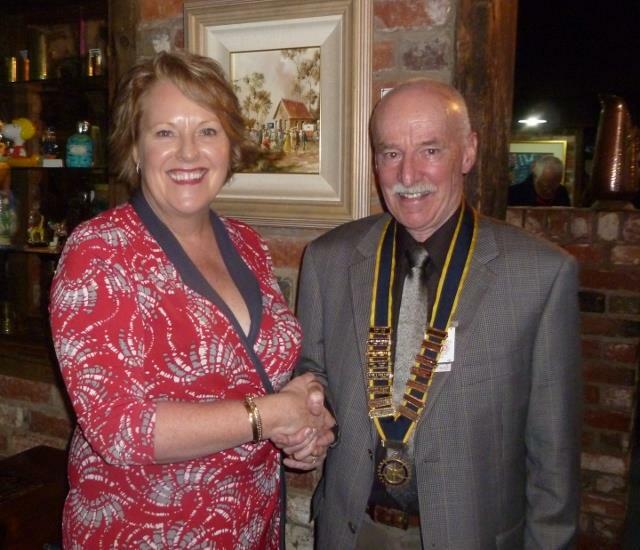 On Wednesday the 26th of June Members of the Rotary Club of Horsham East Inc., with friends, family and Kindred Organizations gathered at the Olde Horsham Restaurant to celebrate the annual changeover dinner. 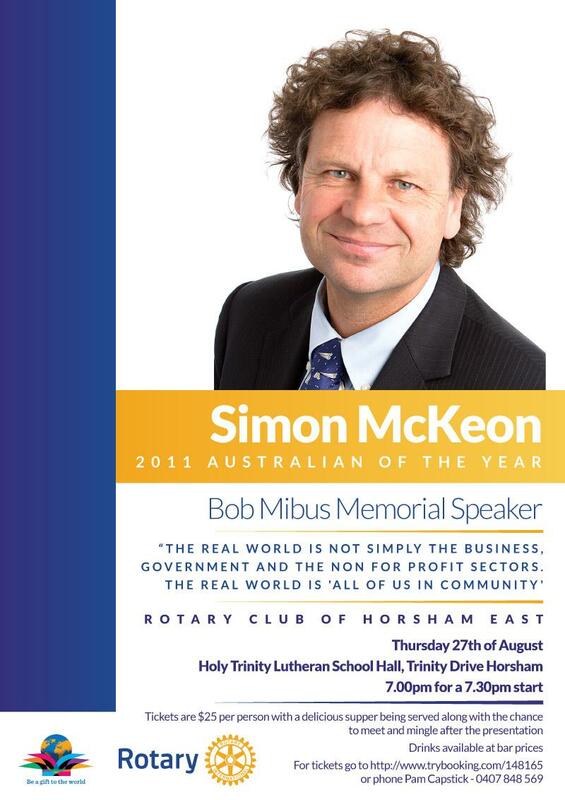 Post by Rotary Club of Horsham East. 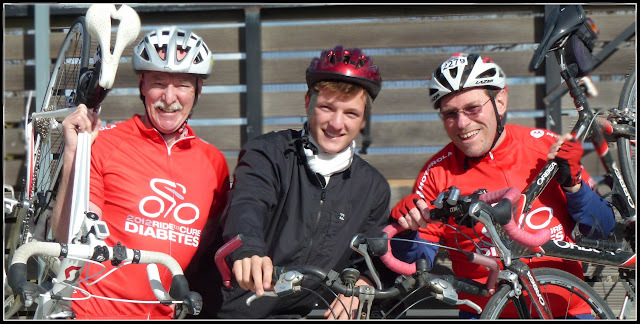 Horsham East Rotarians Phil Proctor and Barry Sherwell are gearing up to ride the Juvenile Diabetes Research Foundation (JDRF) fundraising Ride for a Cure event in the Barossa Valley. They are pictured with exchange student Julian Berthelot. There are 122,300 Australians affected by type 1 or juvenile diabetes. This disease is not caused by lifestyle factors, and it usually arises in childhood and lasts a lifetime because it destroys the ability to produce insulin, which is vital for life. There is no cure - yet. Results of the 2013 Rotary Bowelscan program. PP Geoff Eagle receives a Paul Harris Fellow from The Rotary Club of Horsham East for his years of tireless dedication to the club. A Club First, PP Steve Sostheim PHF receives his Paul Harris Fellow sapphire pin. This is the equivalent of double Paul Harris Fellow and has never been awarded to anyone else in the club prior to tonight and is a great honor. Bigger, better, and bolder' was a recurring phrase at last week's institute for Rotary coordinators (RCs).